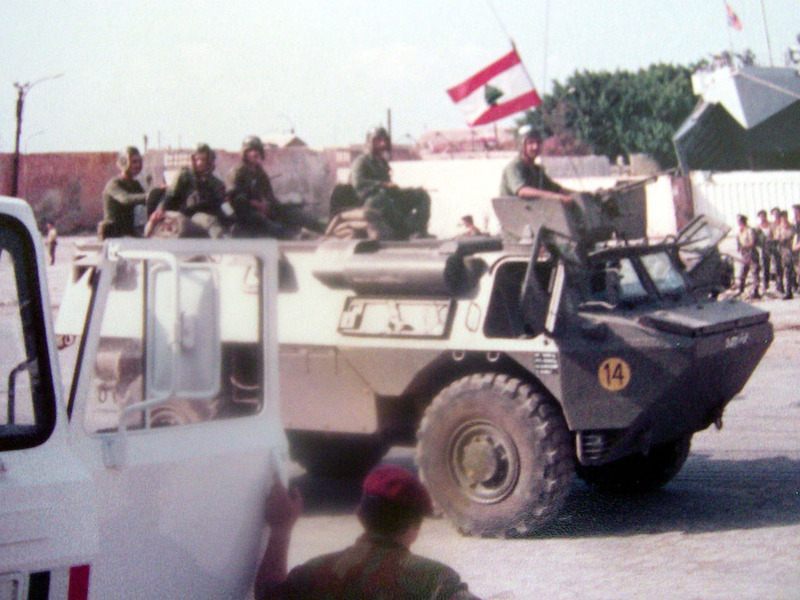 A Lebanese Army VAB VTT of the 6th Mechanized Brigade in 1984. 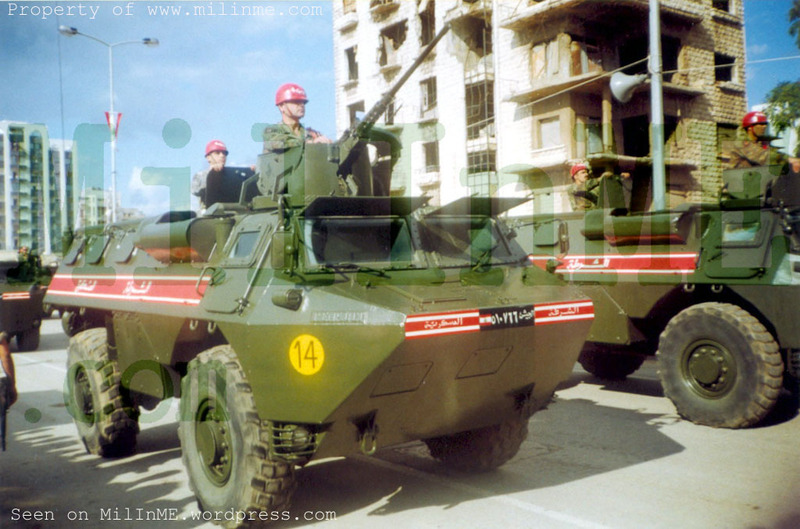 A Lebanese Army VAB VTT of the Military Police during the 1995 military parade. 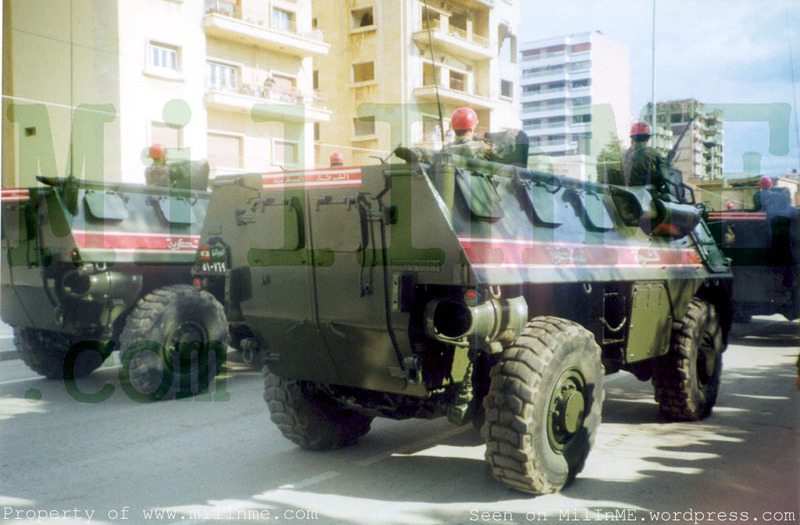 A back view of Lebanese Army VABs VTT of the Military Police during the 1995 military parade. 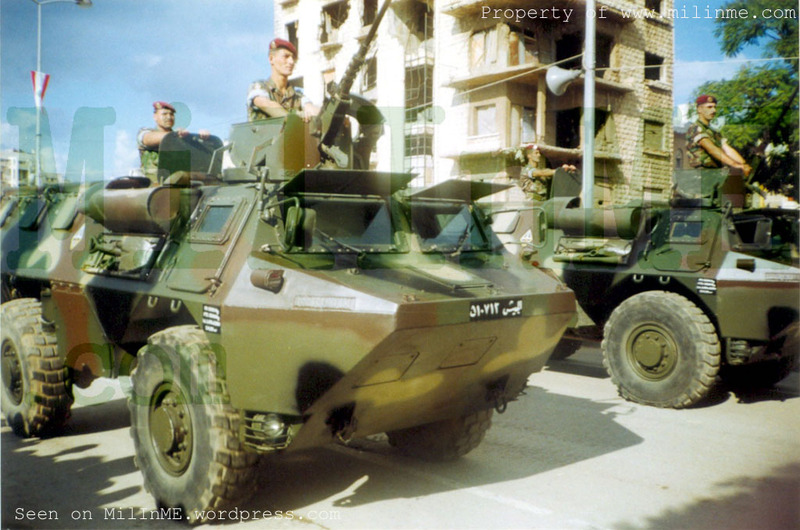 Lebanese Army VABs VTT of the Commandos (Maghaweer) Regiment during the 1995 military parade. 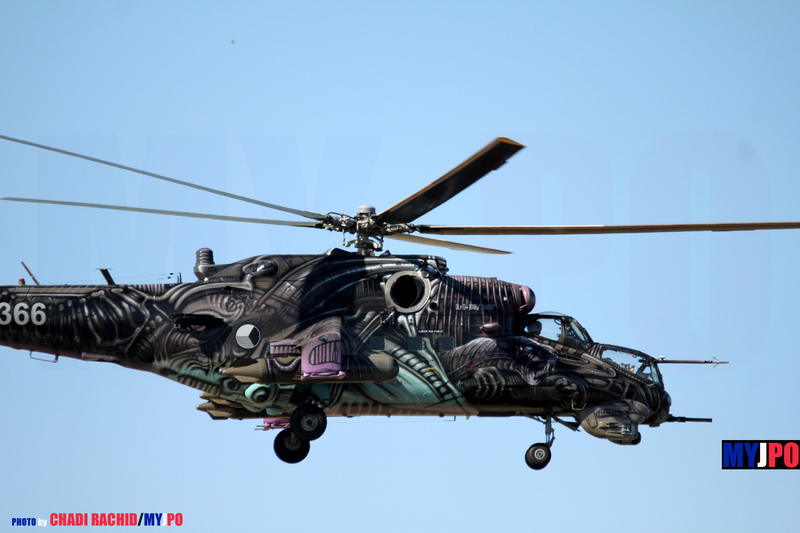 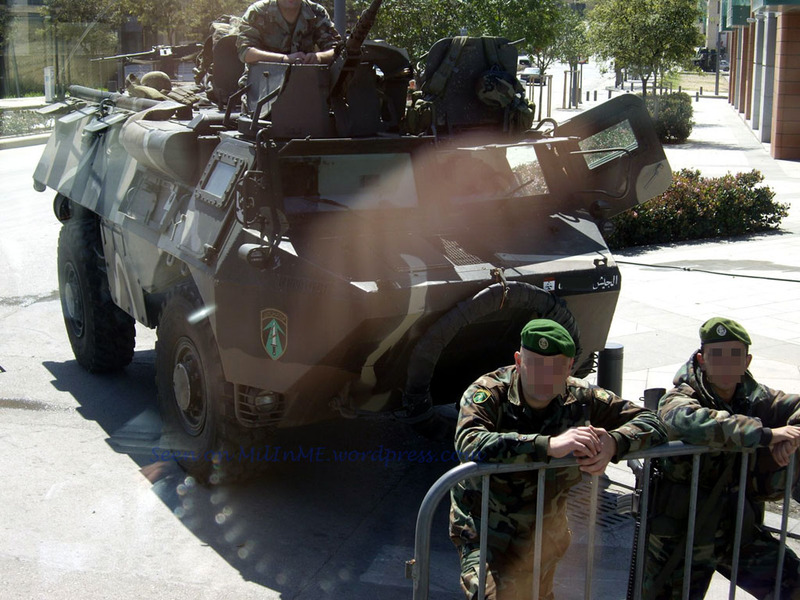 TwoLebanese Army VABs VTT of an Intervention Regiment seen in 2002. 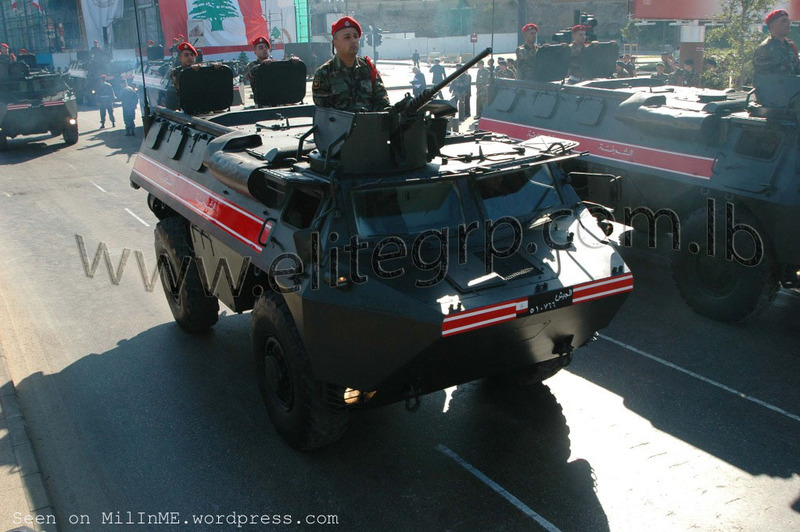 A Lebanese Army VAB VTT of the Commandos (Maghaweer) Regiment on the Beirut Corniche in 2004. 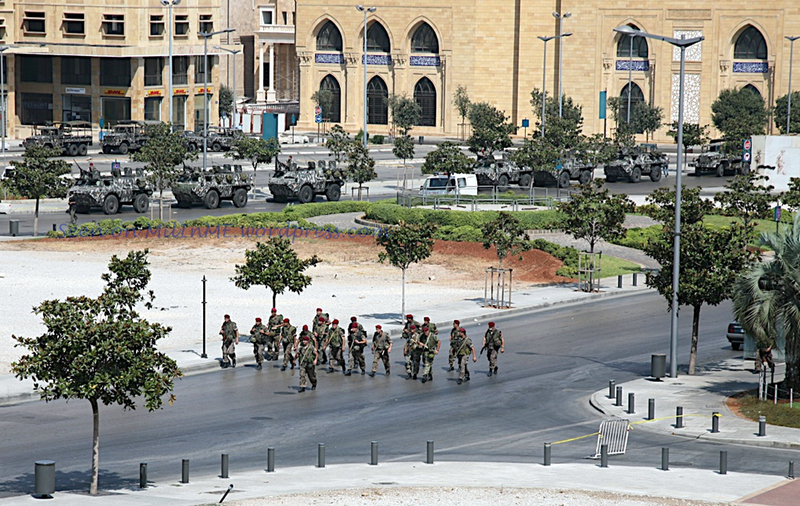 Lebanese Army VABs VTT of the Commandos (Maghaweer) Regiment and the Military Police lined up for the military parade of 2004. 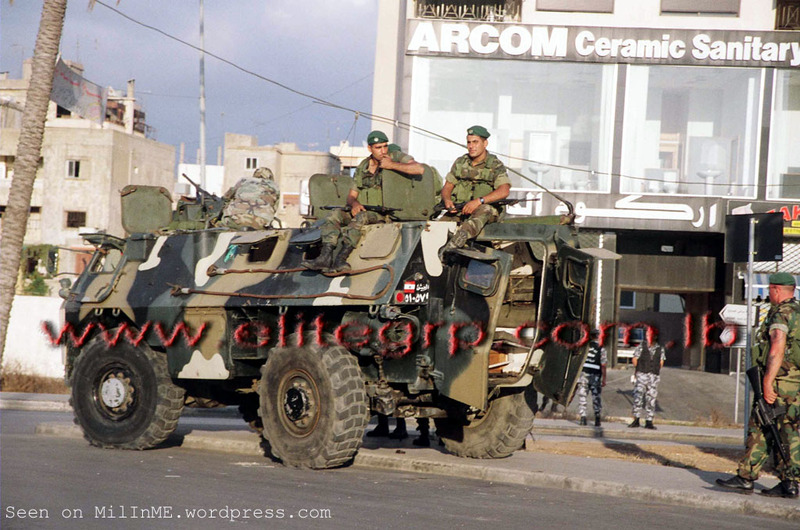 Lebanese Army VABs VTT of the Commandos (Maghaweer) Regiment in Beirut downtown, March 2005. 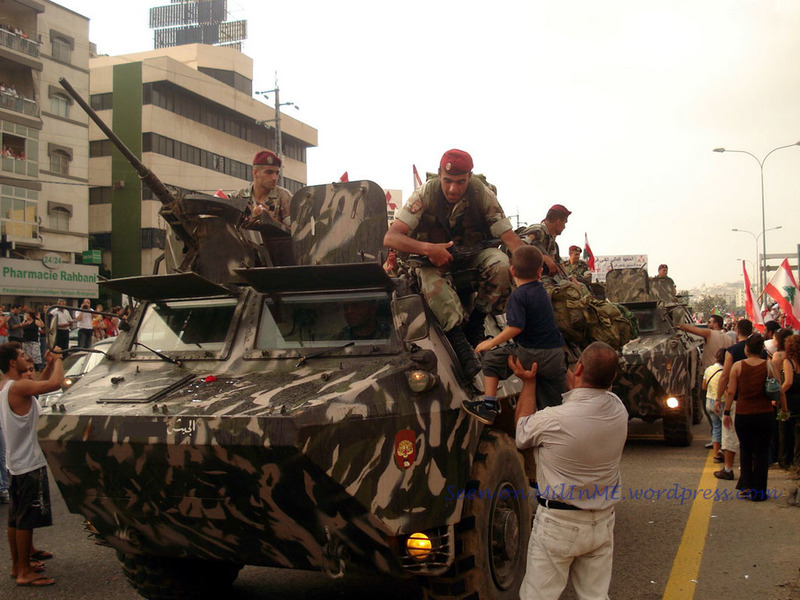 A full deployment of Lebanese Army VABs VTT of the Commandos (Maghaweer) Regiment in Beirut downtown, 2006. 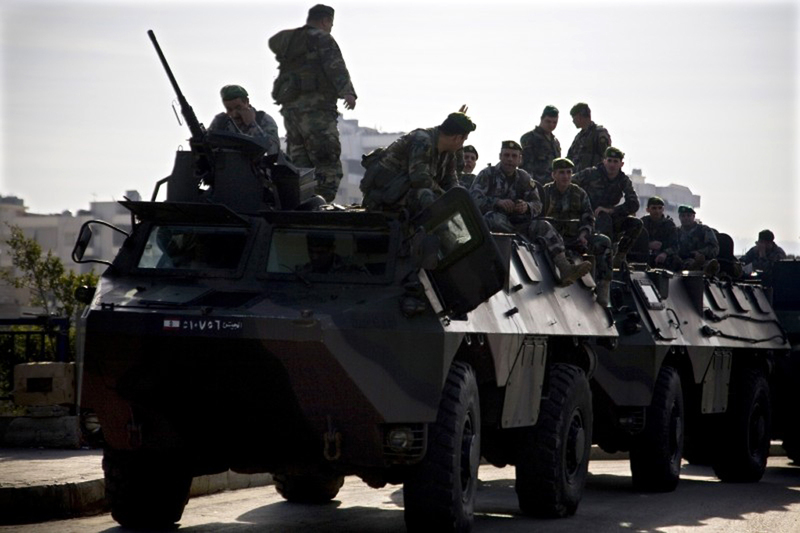 A Lebanese Army VAB VTT of the Commandos (Maghaweer) Regiment in the Biel area, Beirut, 2007. 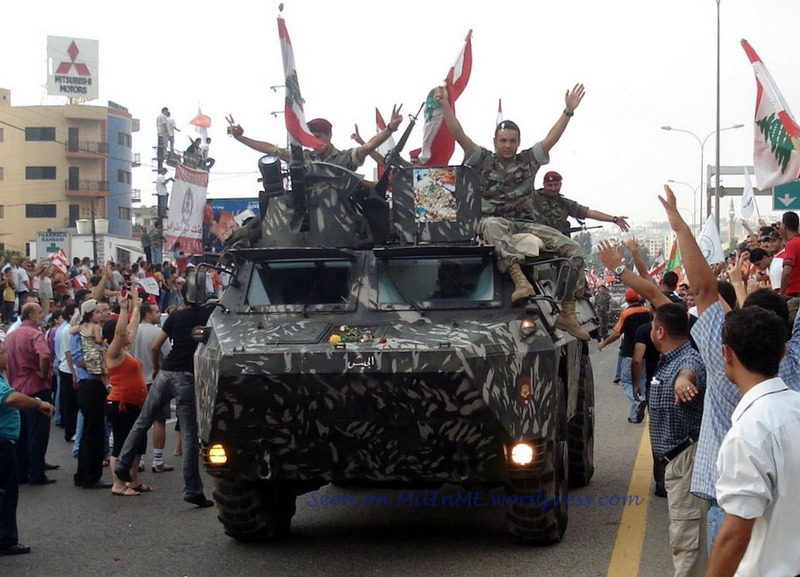 Victory day for the Lebanese Army VABs VTT of the Commandos (Maghaweer) Regiment coming back from Nahr ElBared, September 2007. 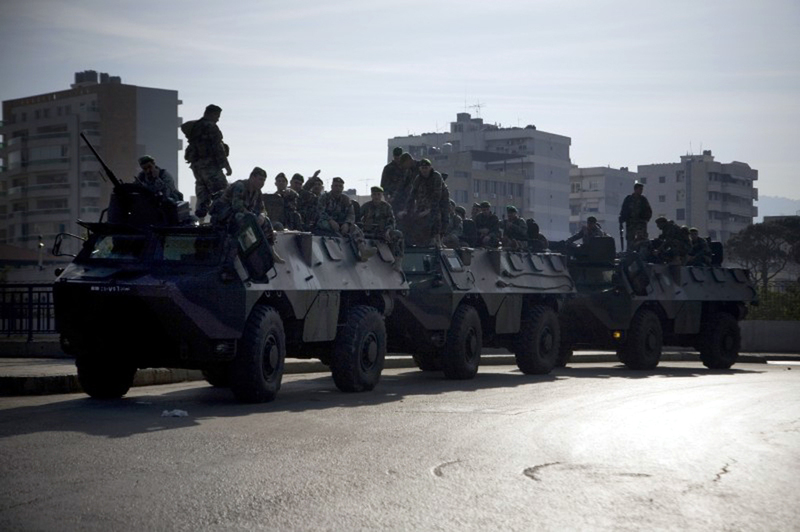 Lebanese Army VABs VTT of the 2nd Intervention Regiment, Beirut, January 2007..
Lebanese Army VABs VTT of an Intervention Regiment loaded onto a Volvo NL12 tank transporter, Quarantina, January 2007. 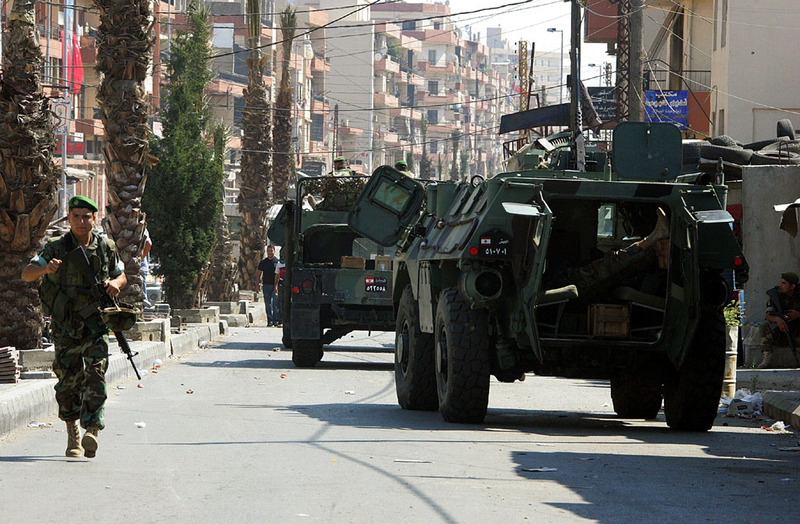 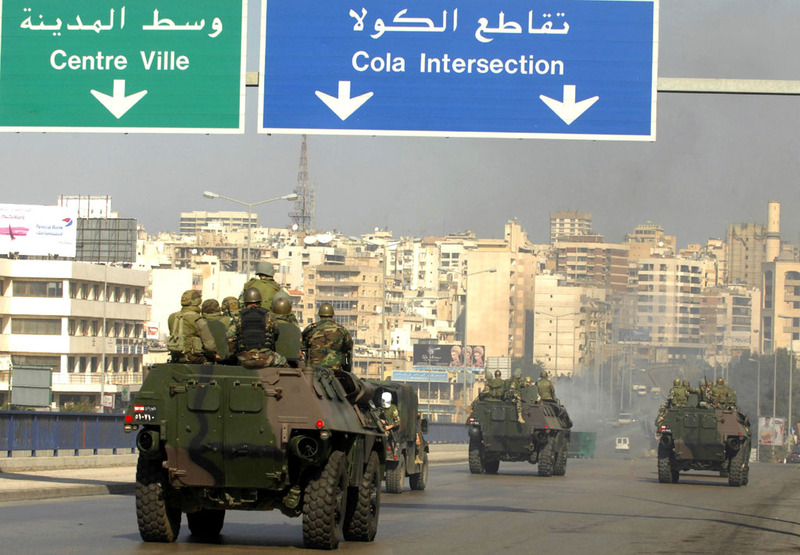 A Lebanese Army VAB VTT of an Intervention Regiment at a crossroad in Tripoli, Lebanon, March 2008. 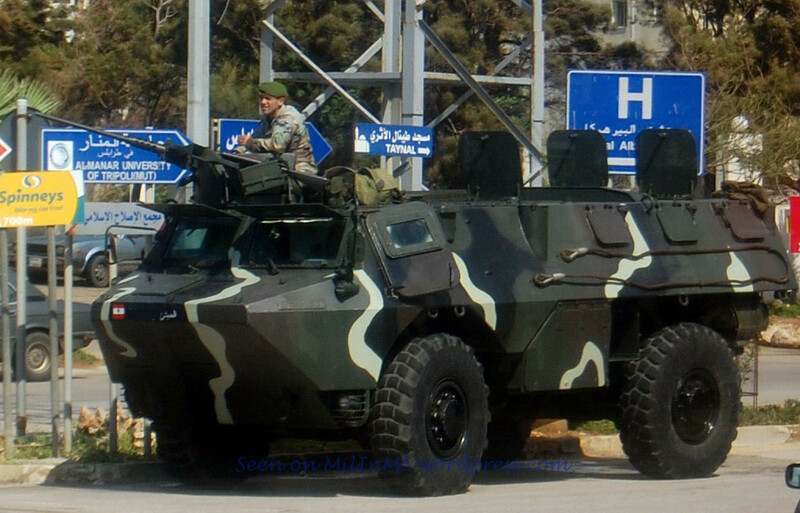 A Lebanese Army VAB VTT of the Commandos (Maghaweer) Regiment in Beirut, May 2008. 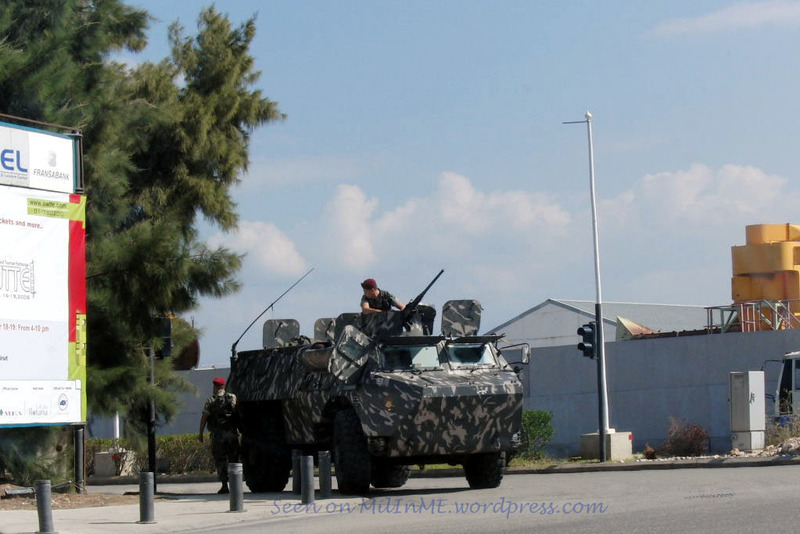 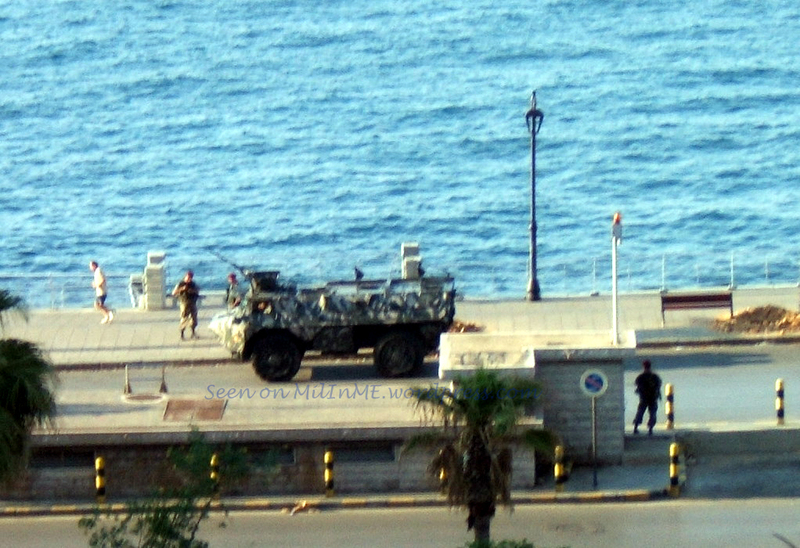 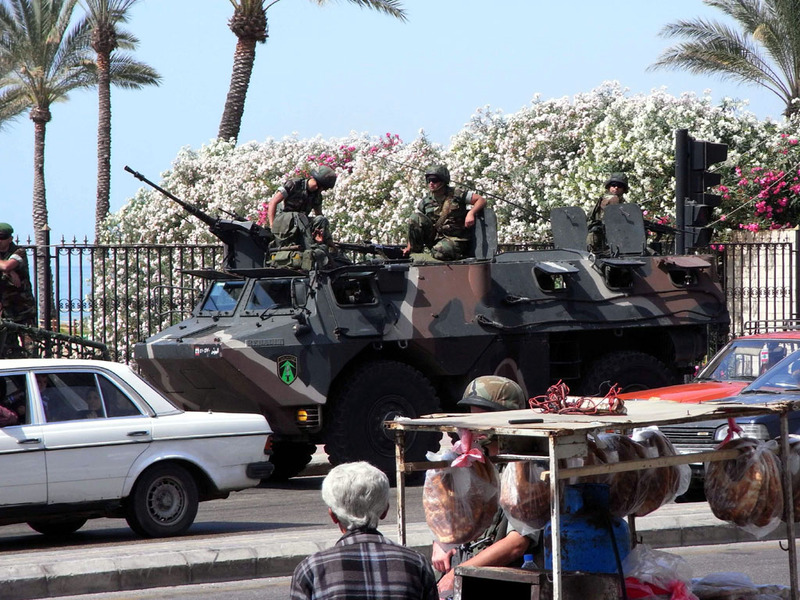 A Lebanese Army VAB VTT of the Commandos (Maghaweer) Regiment on the Beirut Corniche, May 2008. 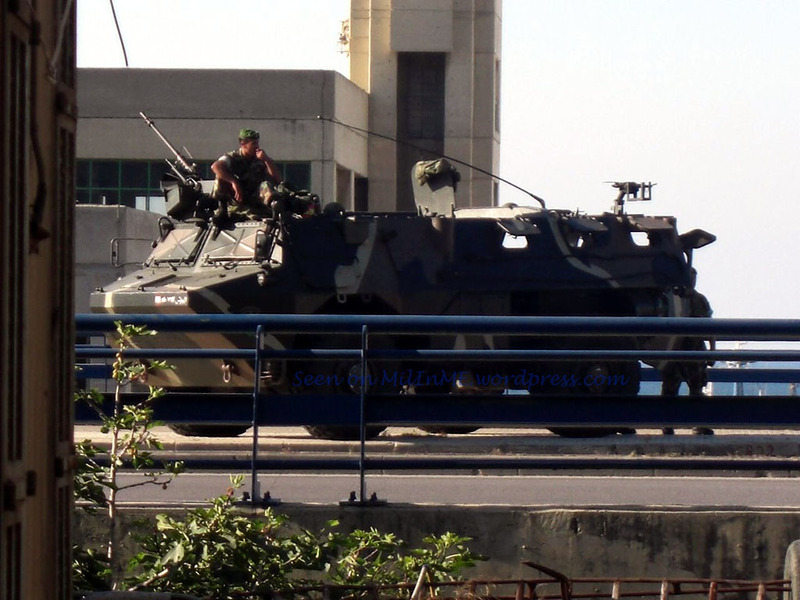 A Lebanese Army VAB VTT of an Intervention Regiment in the port area, Beirut, May 2008. 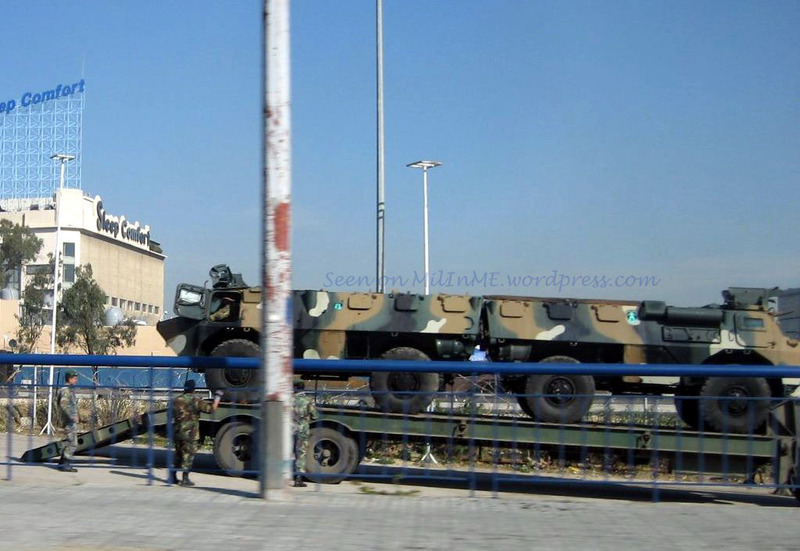 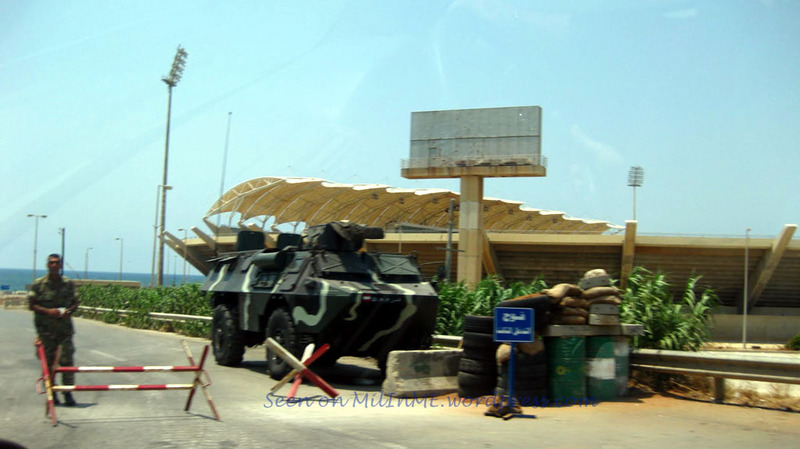 A blurry photo of a Lebanese Army VAB VTT of an Intervention Regiment next to Tripoli Stadium, June 2008. 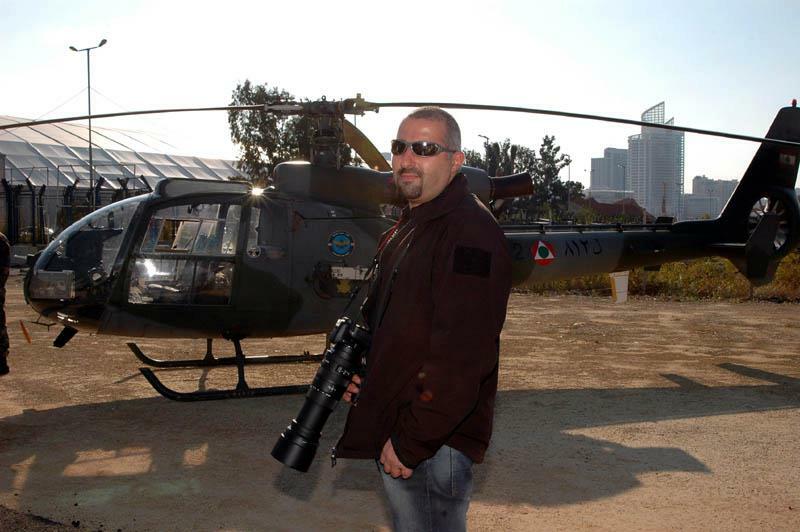 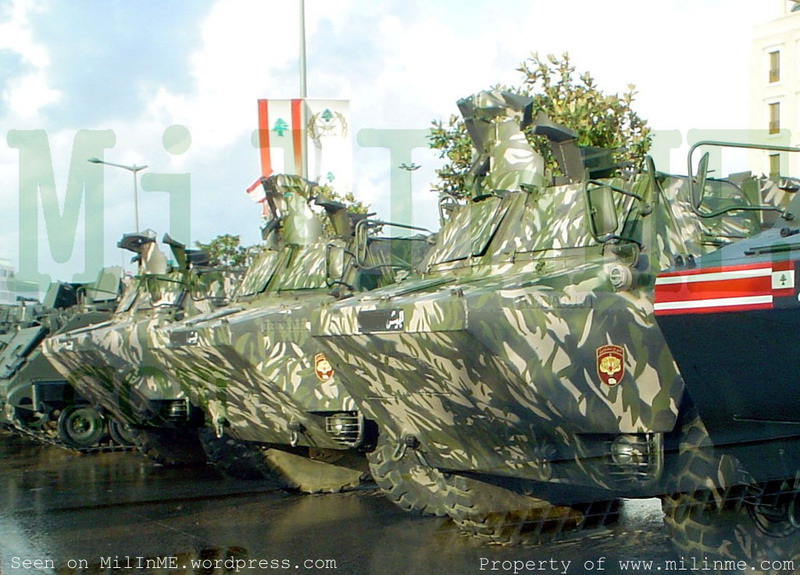 A Lebanese Army VAB VTT of an Intervention Regiment in Beirut in 2009. 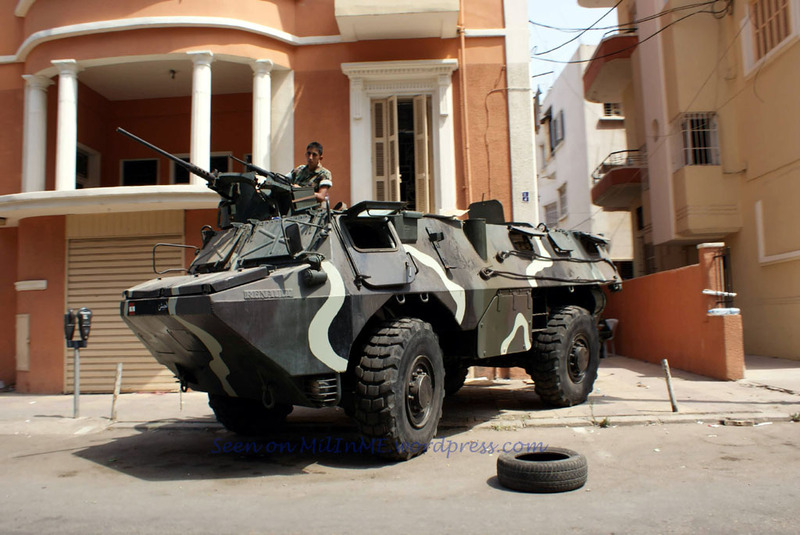 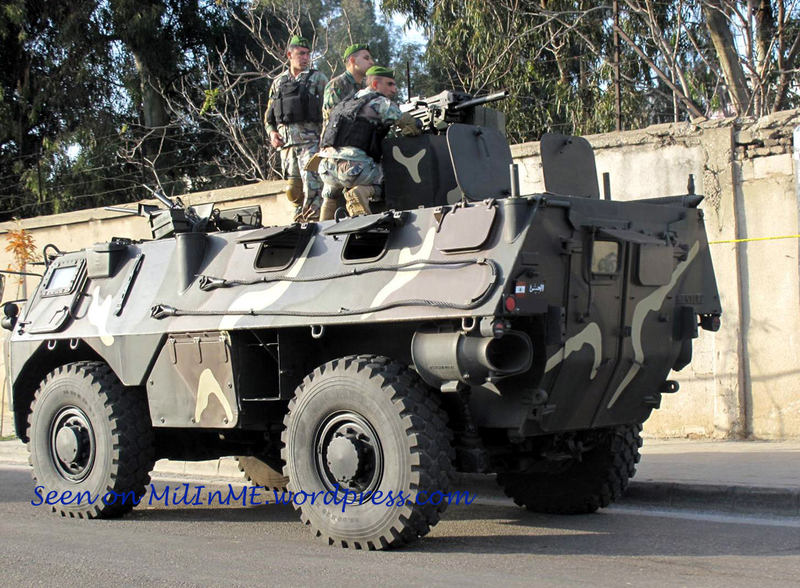 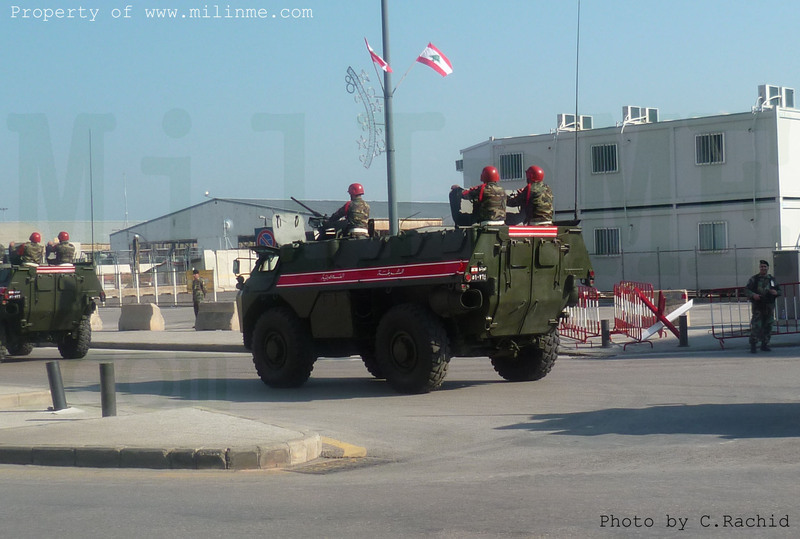 A Lebanese Army VAB VTT of the 2nd Intervention Regiment in Sidon, May 2010. 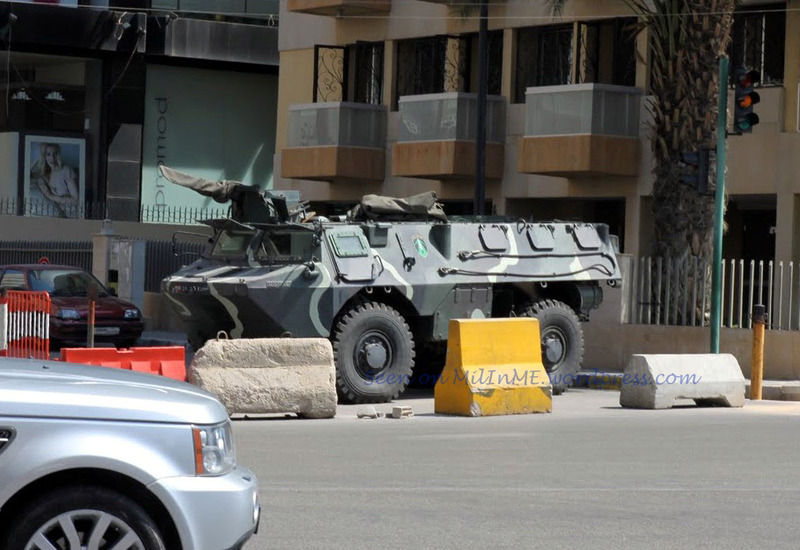 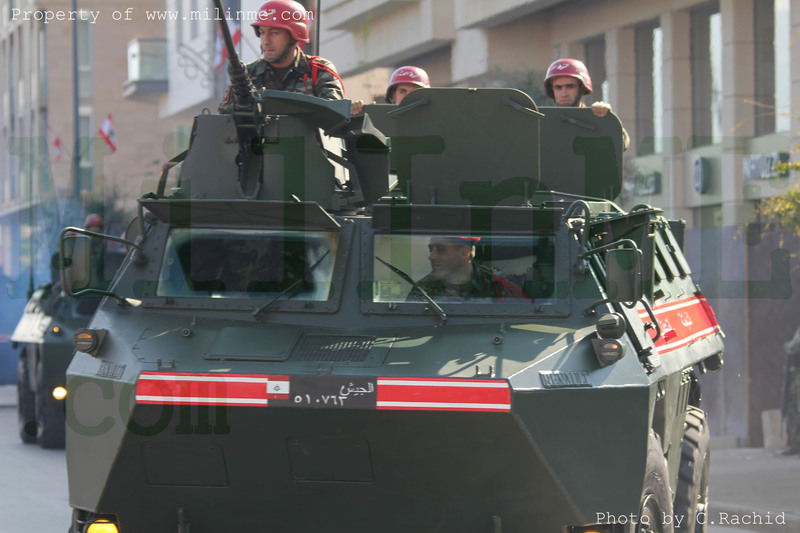 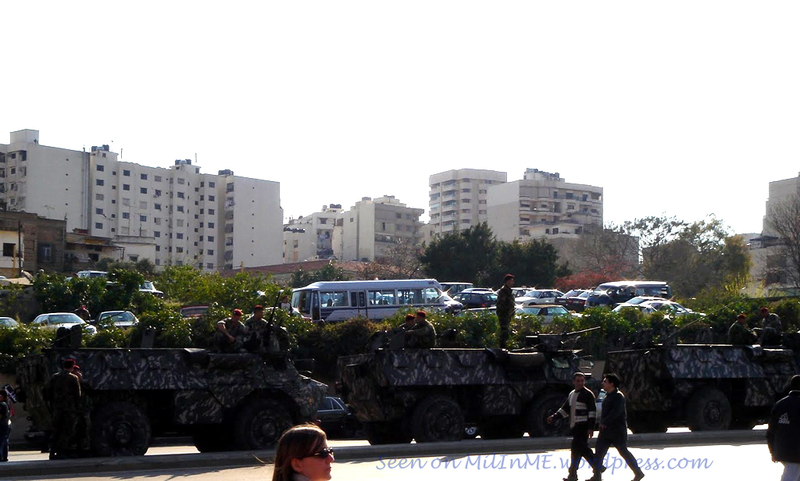 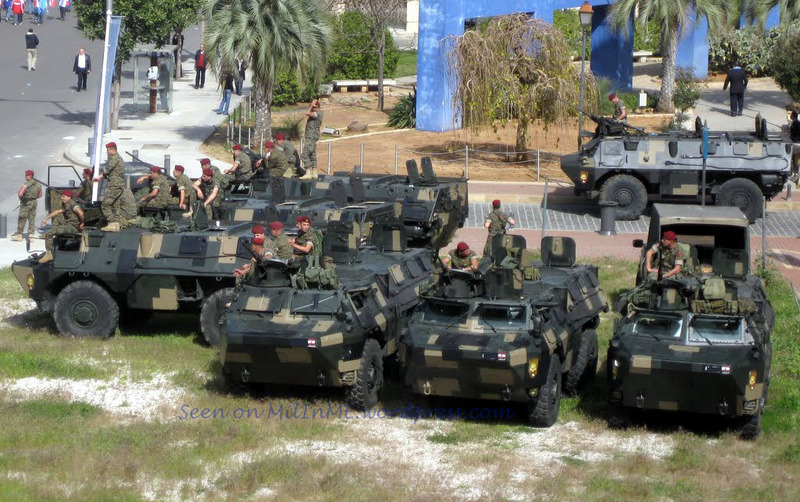 A set of Lebanese Army VABs VTT of the Commandos (Maghaweer) Regiment deployed in downtown Beirut, February 2010. 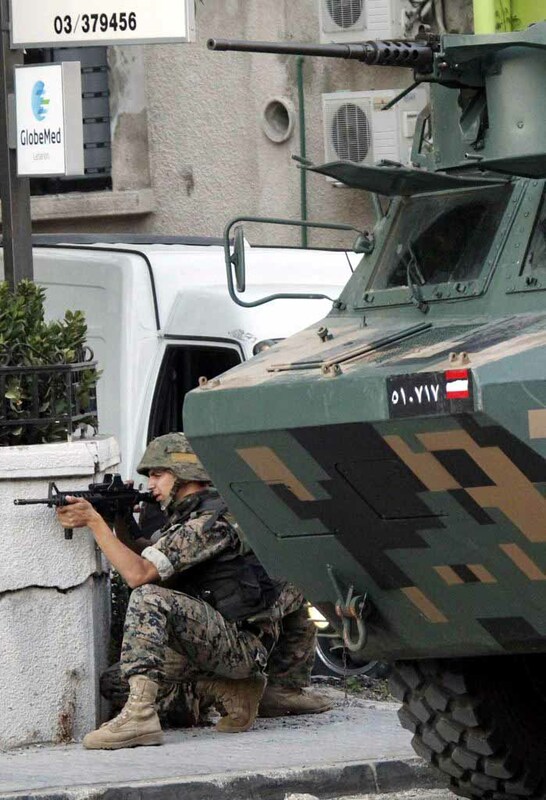 A Lebanese Army VAB VTT of an Intervention Regiment in Beirut, May 2011. 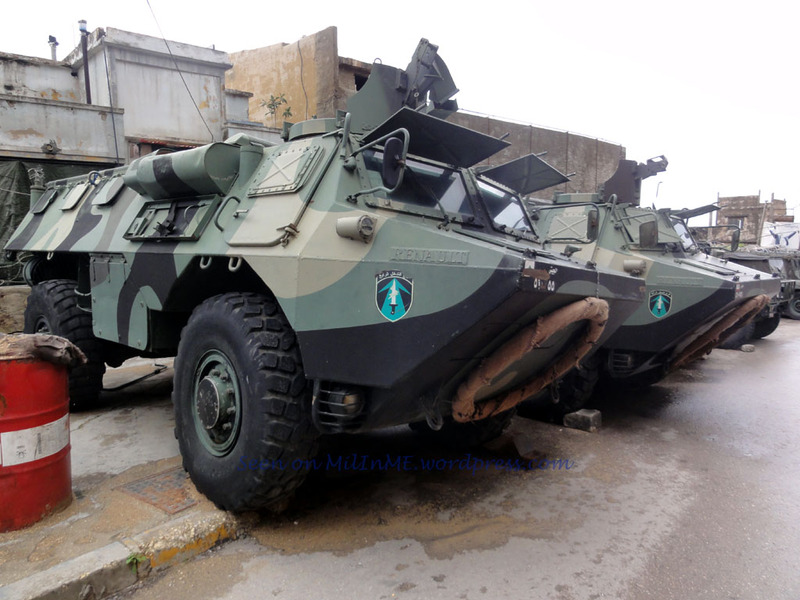 Another close up of Lebanese Army VABs VTT of the 4th Intervention Regiment, St Gilles Fortress, Tripoli, Lebanon, March 2011. 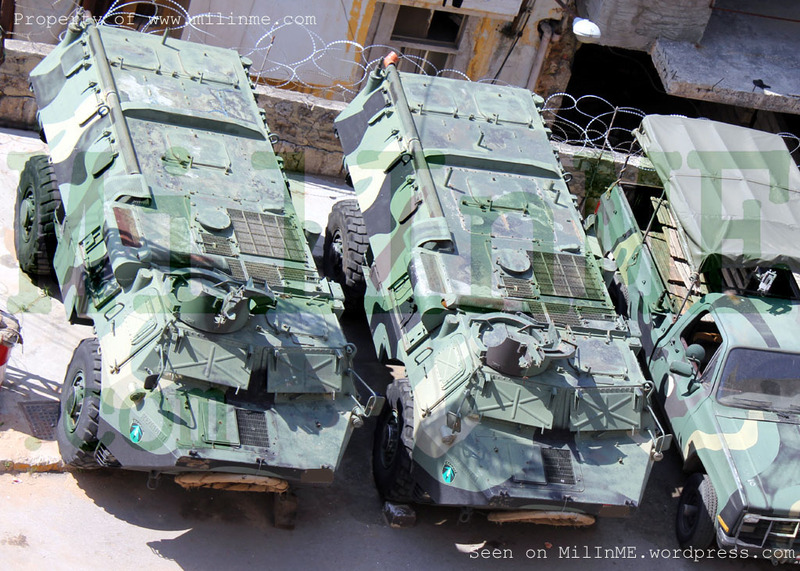 Two Lebanese Army VABs VTT and an M1008 of the 4th Intervention Regiment, St Gilles Fortress, Tripoli, Lebanon, October 2010. 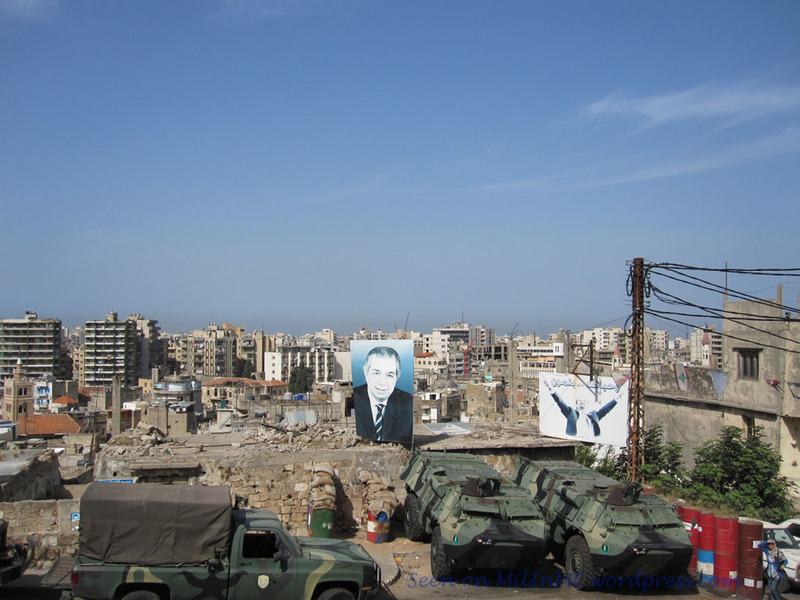 A view from the top two Lebanese Army VABs VTT of the 4th Intervention Regiment, St Gilles Fortress, Tripoli, Lebanon, September 2010. 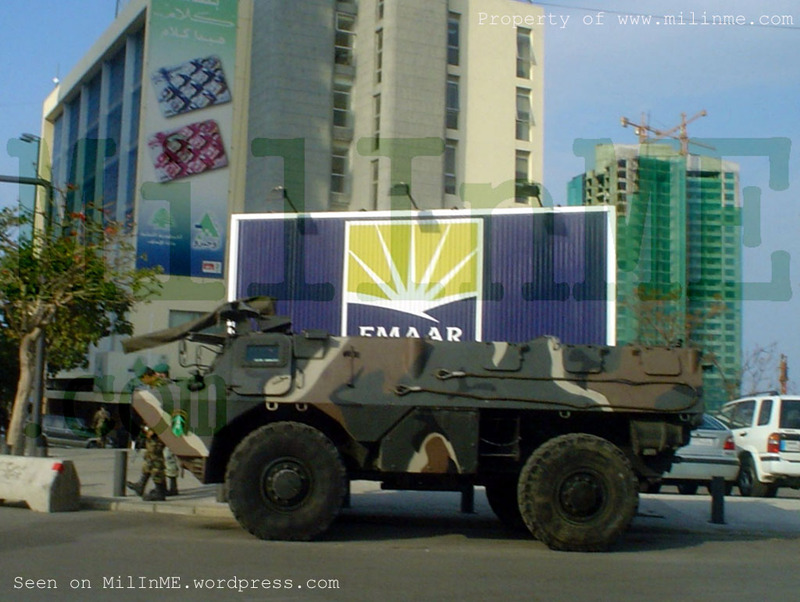 A Lebanese Army VAB VTT of an Intervention Regiment near the hotels quarter, Beirut, February 2007. 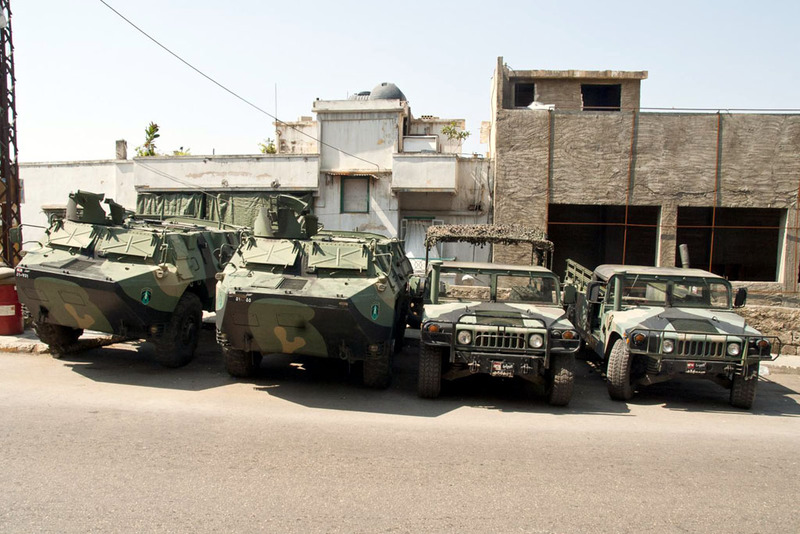 Another view from the top of two Lebanese Army VABs VTT of the 4th Intervention Regiment, St Gilles Fortress, Tripoli, Lebanon, April 2011.They are the same vehicles already seen on September 2010 with a slight difference, the military registration number shifted from left to right. 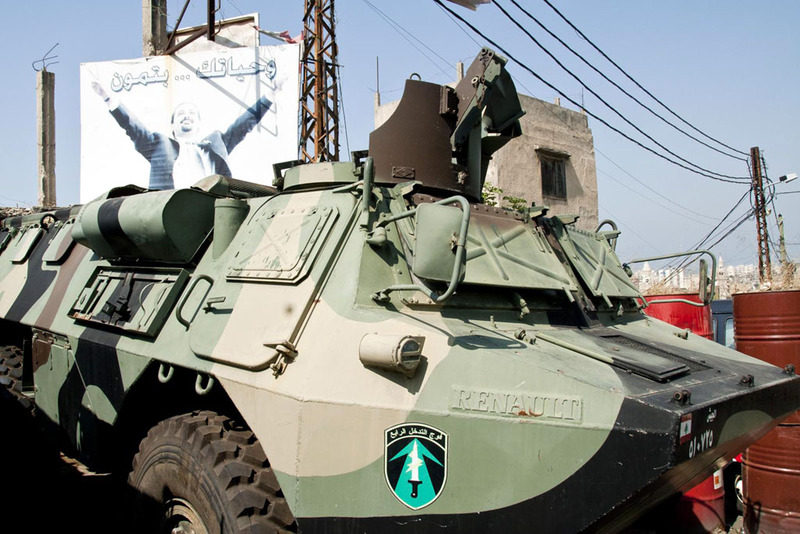 A close up of a Lebanese Army VAB VTT of the 4th Intervention Regiment, St Gilles Fortress, Tripoli, Lebanon, September 2010. 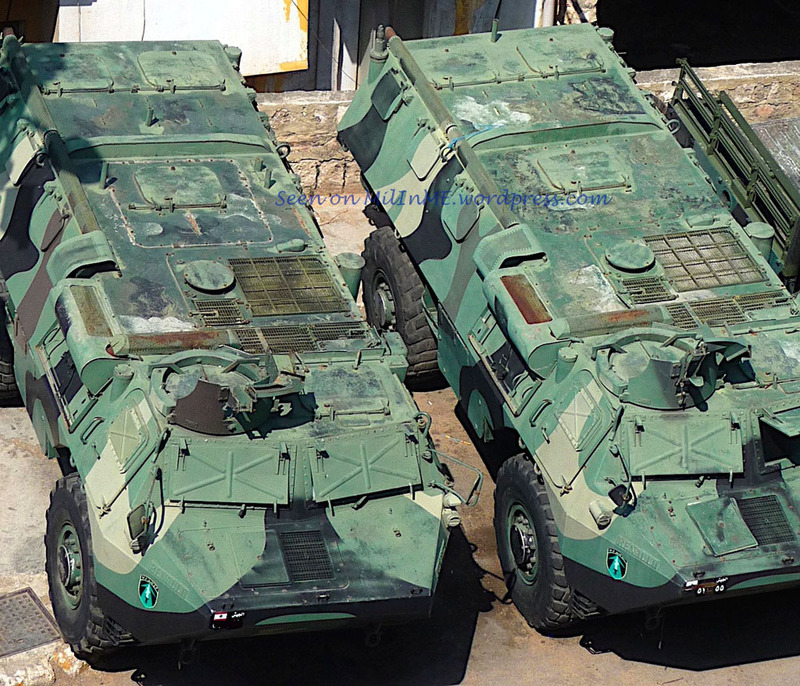 Two Lebanese Army VABs VTT and two M998s of the 4th Intervention Regiment, St Gilles Fortress, Tripoli, Lebanon, September 2010. 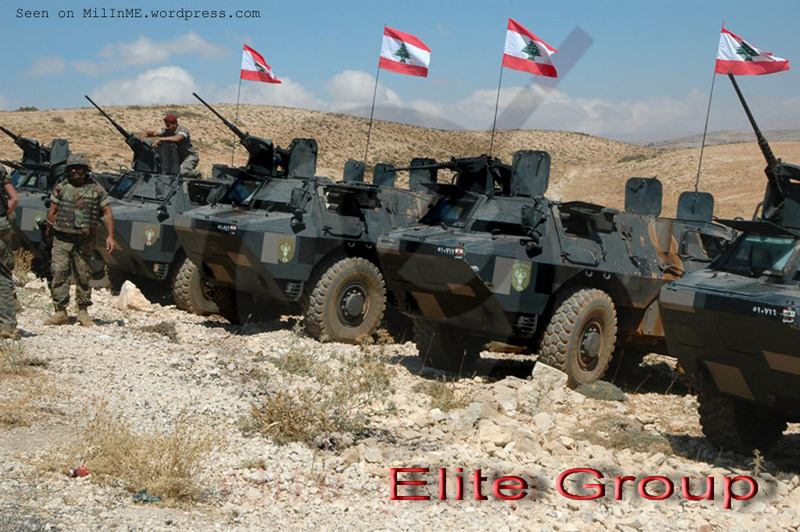 Lebanese Army VAB of the Commando (Maghaweer) Regiment, November 22, 2011. 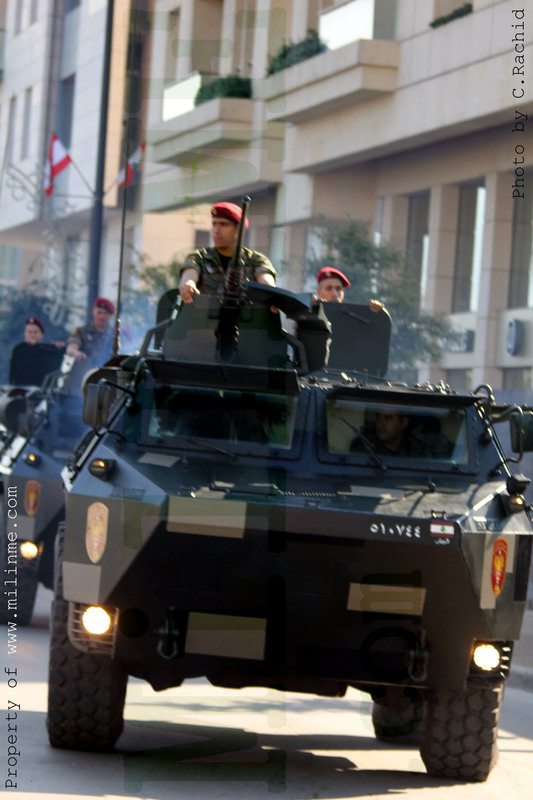 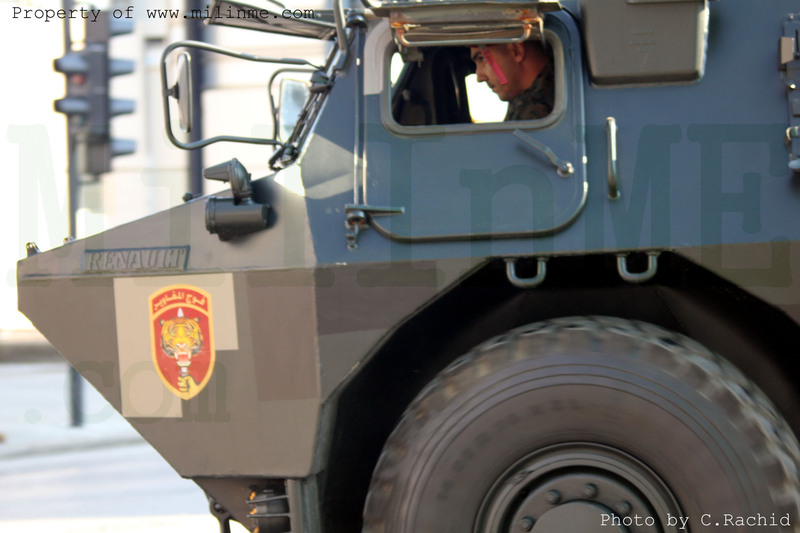 Lebanese Army VAB of the Military Police, November 22, 2011. 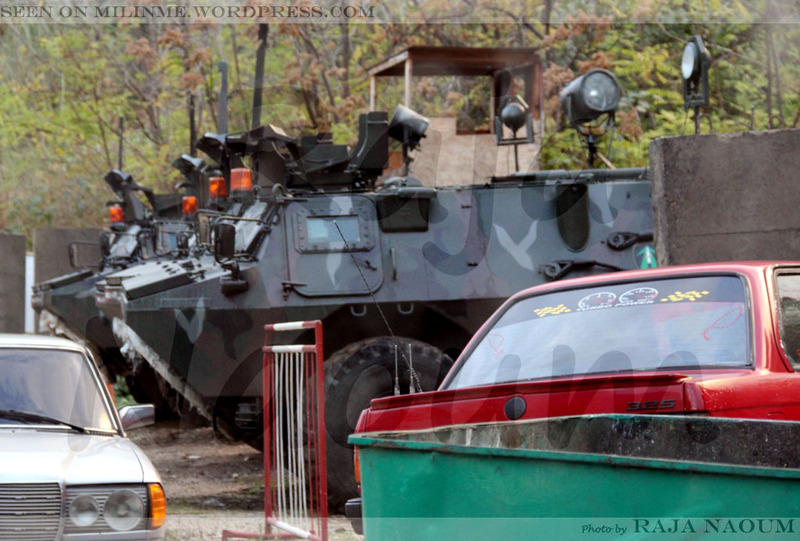 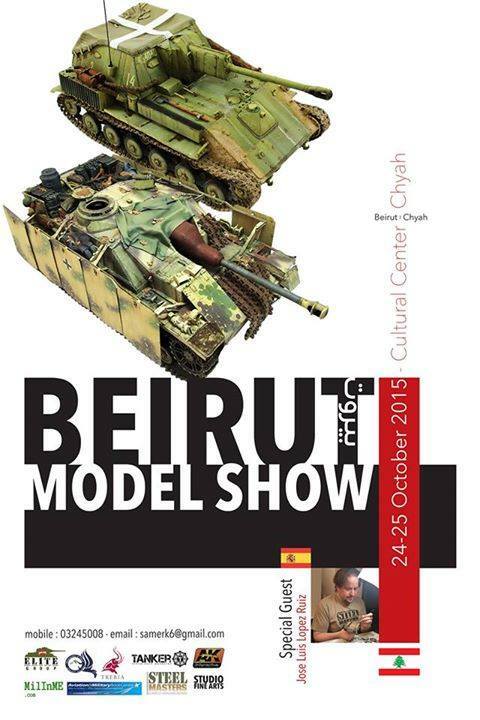 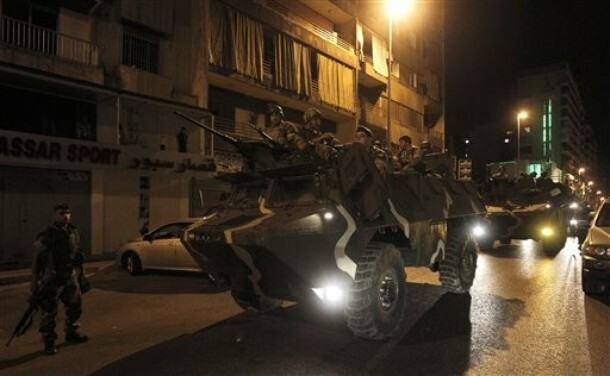 A snapshot of Lebanese Army VAB APCs equipped with searchlights of an Intervention Regiment. 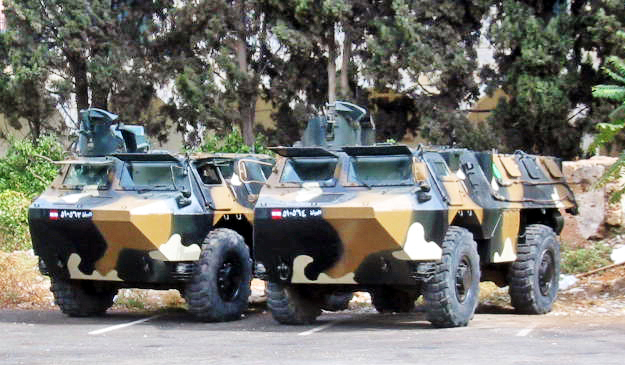 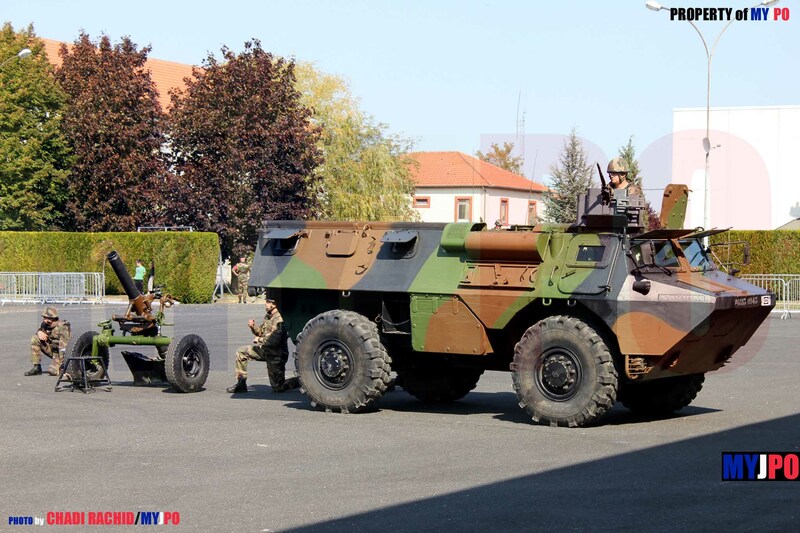 These VABs are the ex-UNIFIL Frenchbatt delivered to the LAF in June 2011. 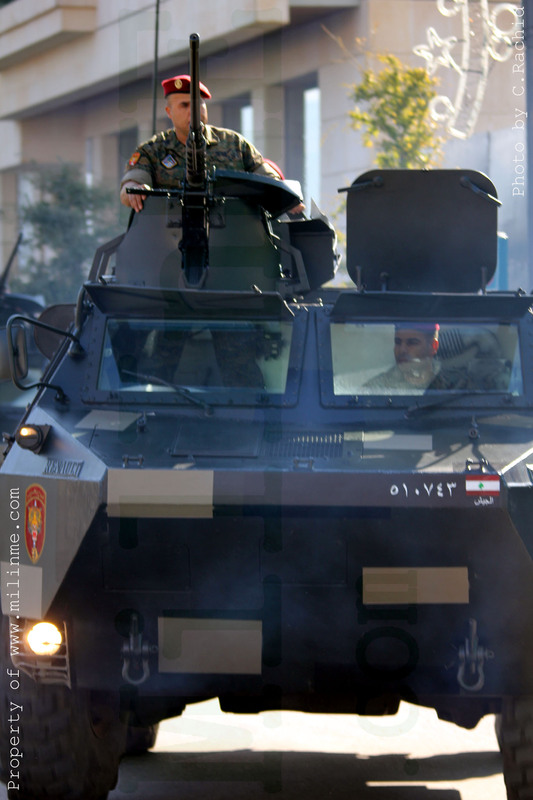 A Lebanese Army VAB of an Intervention Regiment armed with an MK19 Grenade Launcher, March 10 2012. 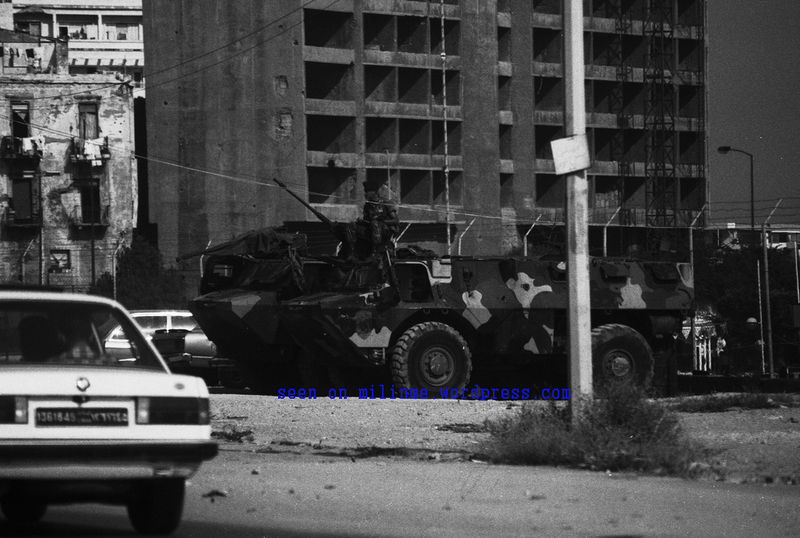 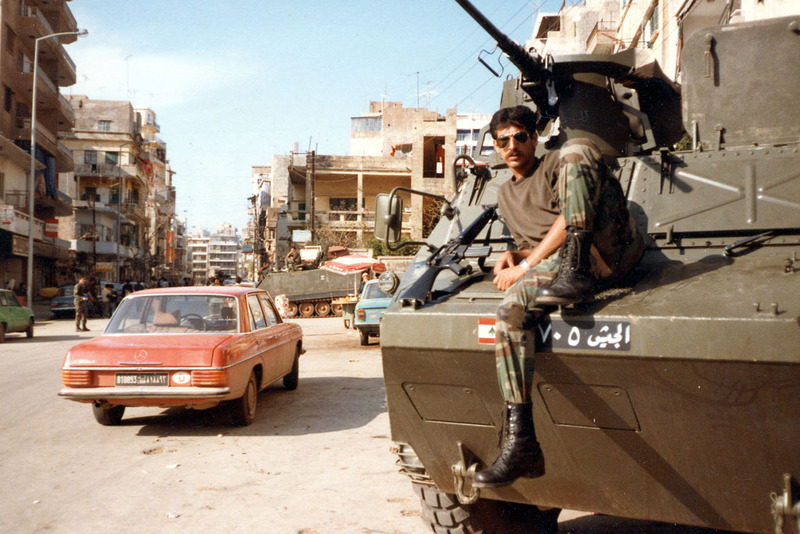 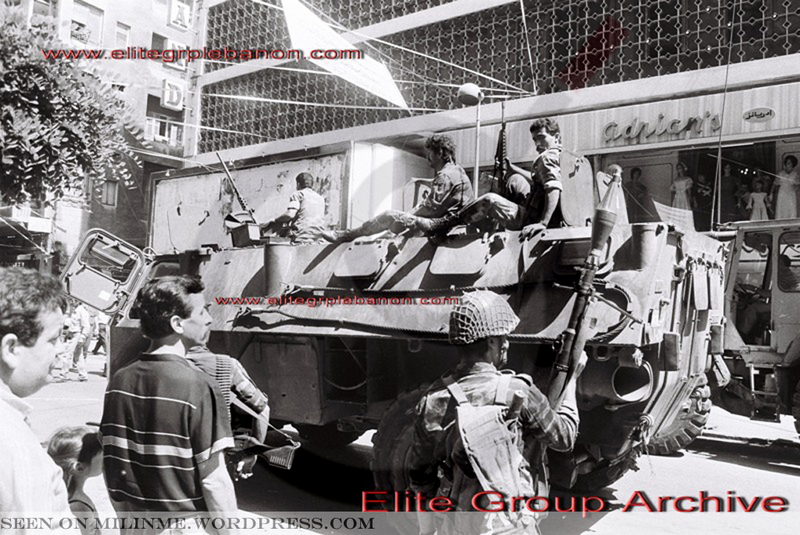 A Lebanese Army VAB of the 6th Mechanized Brigade moving next to a Syrian Army soldier in Hamra street, next to cinema Strand, West Beirut, 1987. 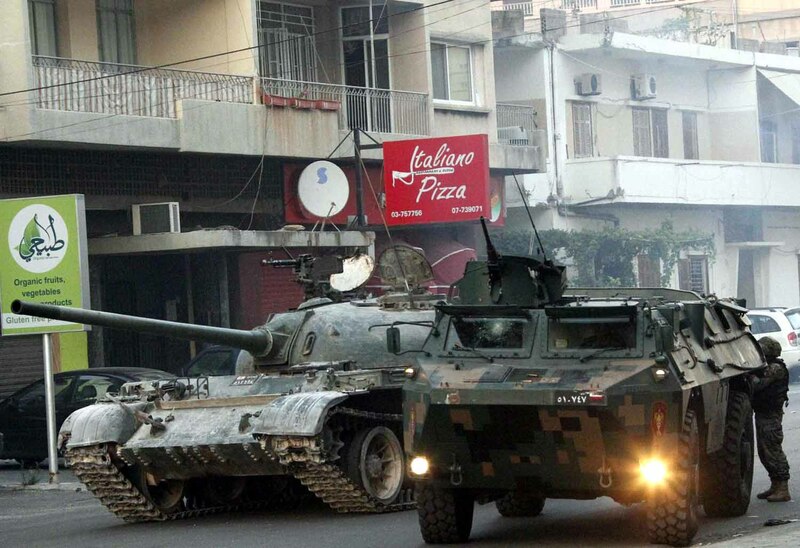 A Lebanese Army VAB of the Maghaweer (Commandos) Regiment and a T-54-3 of the 1rst Mechanized Brigade in Abra, June 24, 2013. 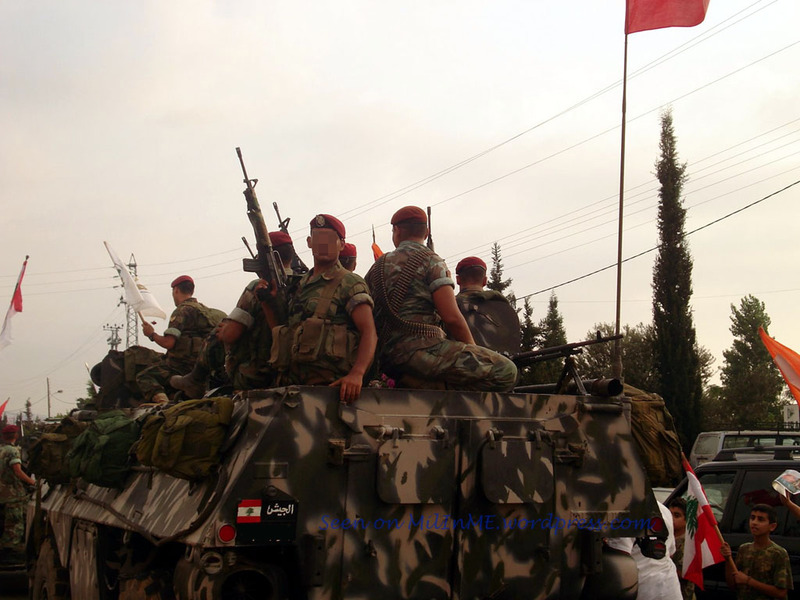 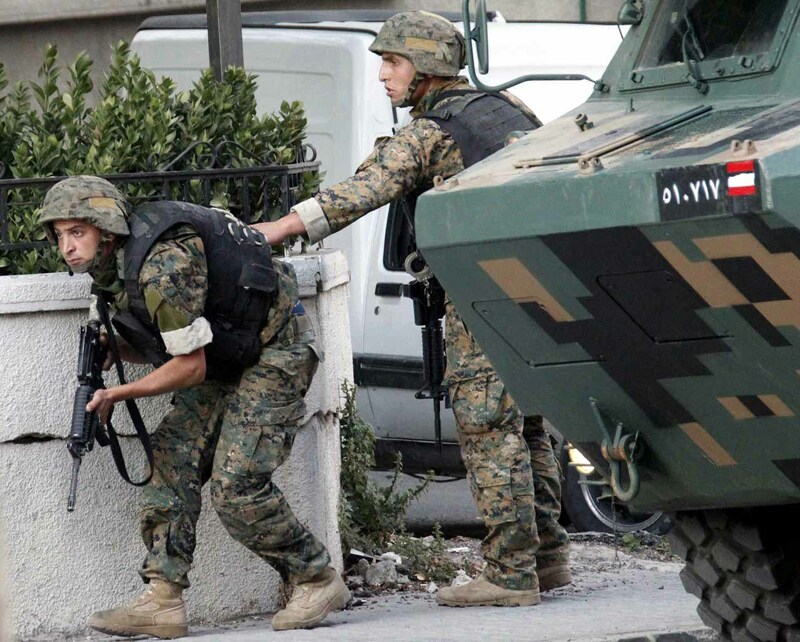 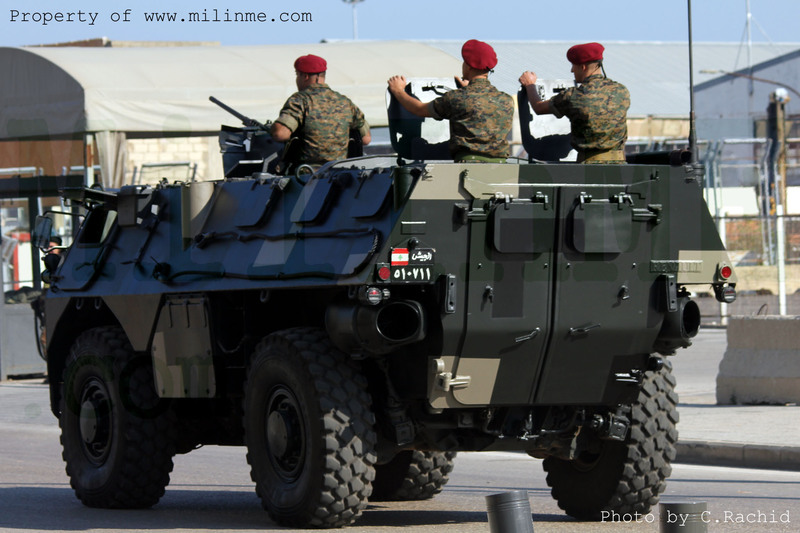 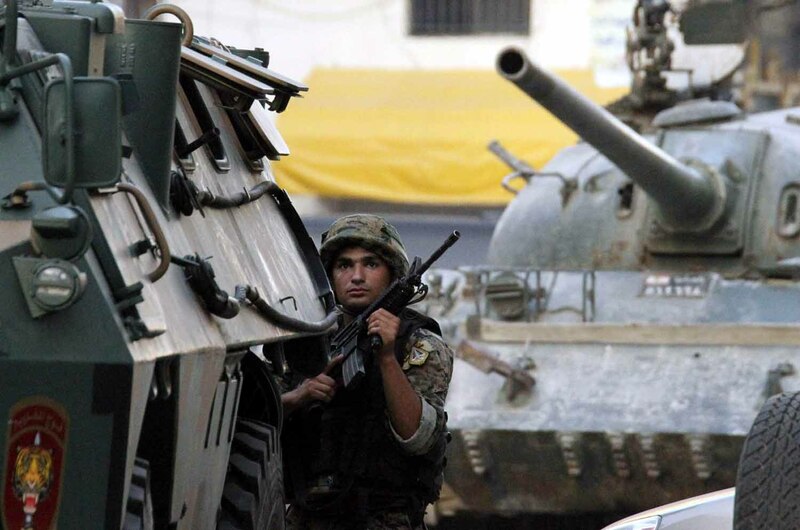 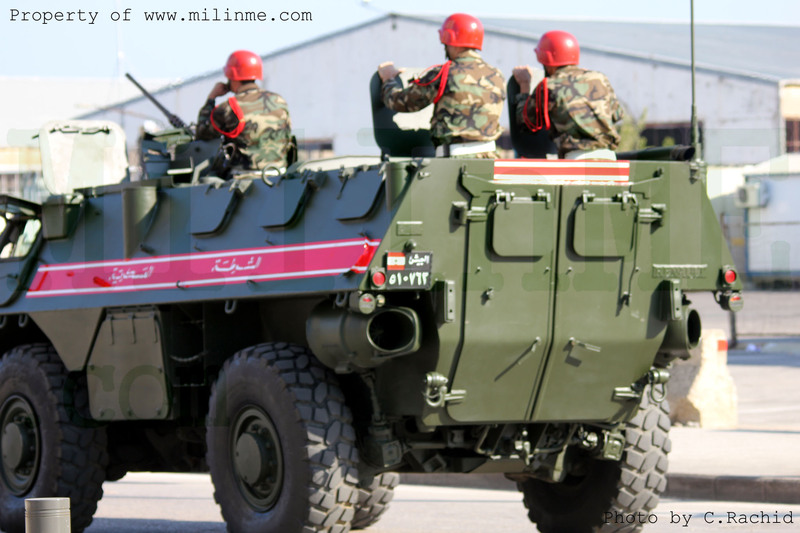 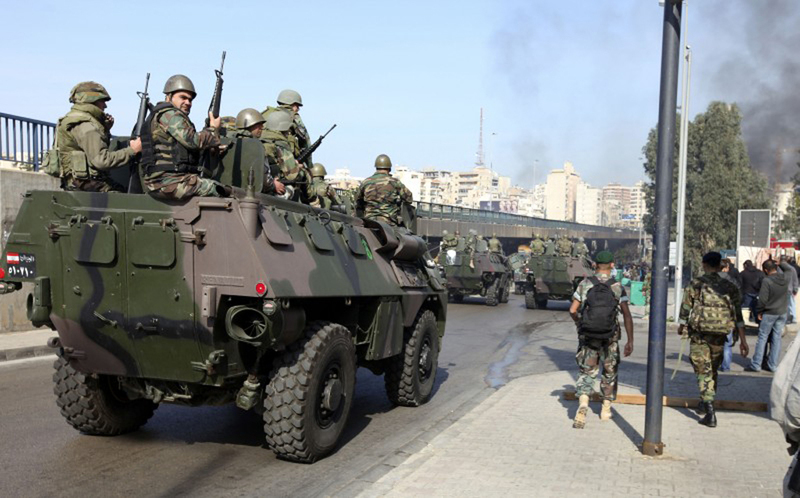 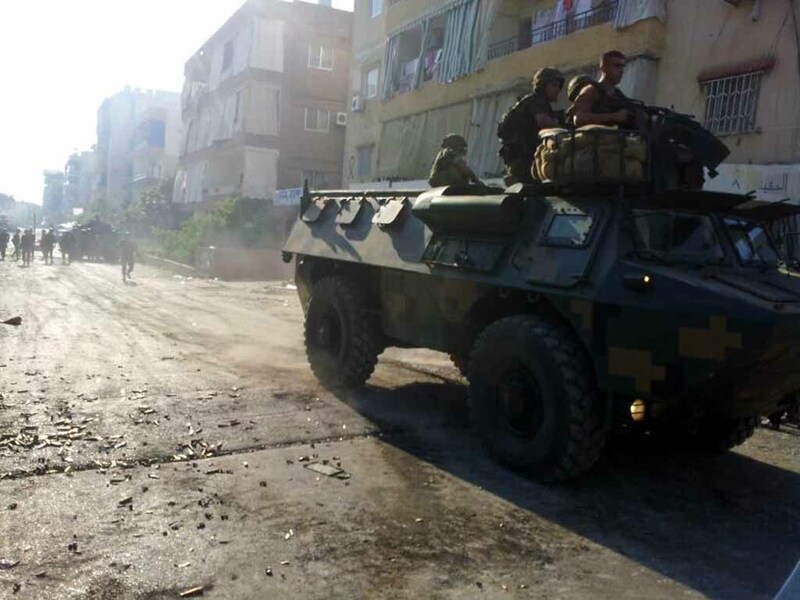 A Lebanese Army VAB of the Maghaweer (Commandos) Regiment in Abra, June 24, 2013.